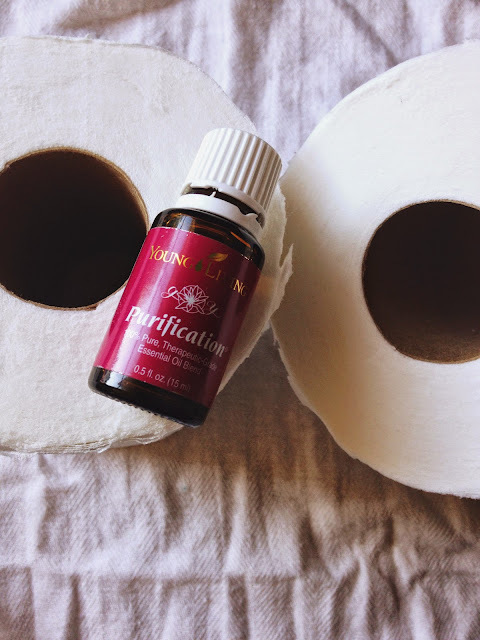 If you know me, you know I like things to be cleanly, I like things to smell fresh, so it is no surprise that Young Living's Purification essential oil is one my favorites. It can do so many things, and I love that! It is a great oil to have in between ordering a new Thieves oil, but all Young Living members know that Thieves is the top germ bomb. Purification is a close second. 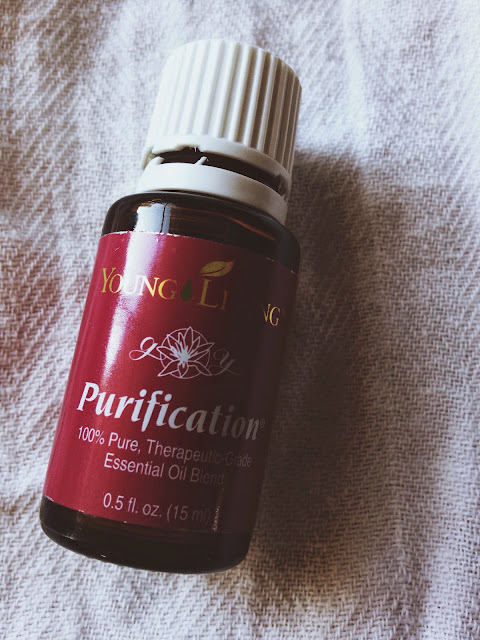 I received Purification as a Christmas gift on Saturday, and I have added a drop of Purification to my face wash every time. It helps rid of blemishes, and frankly, I am tired of having them on my face. So, I try just about everything natural. Let's hope this helps. 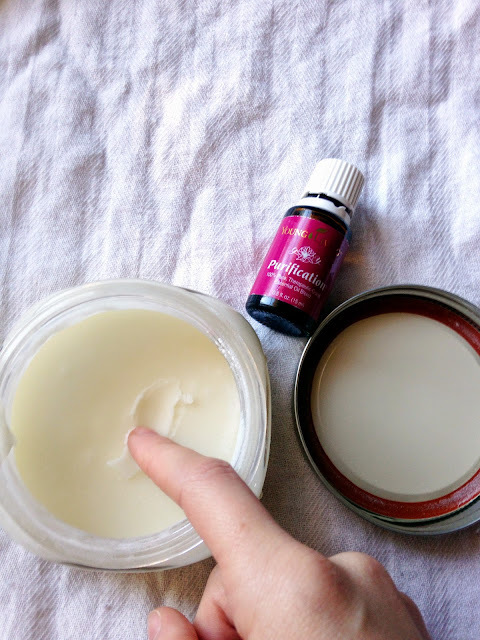 I also whipped up some homemade deodorant this morning. I don't like using store bought because of the chemicals. Your arm pits (axilla) are close to your axillary artery, and the subclavian artery. Your skin absorbs whatever you put on it, and when you put a deodorant full of harsh chemicals on your skin, very sensitive skin I might add, it can cause problems, and irritants. Antiperspirant deoderant contains aluminum, this is a scary ingredient in anything you put on your body because it can cause cancers, and alzheimers. Since your axillary area is so close to the breast tissue (in both men and women), just wearing antiperspirant deodorant can cause breast cancer (in both men and women). If you must wear store bought deodorant, remember to scan the ingredients before purchasing. If the ingredients say "aluminum", don't buy it! Save your brains and save your breasts! 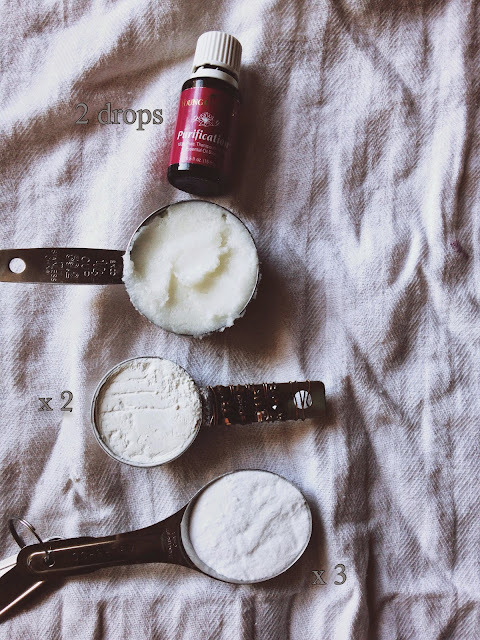 All this deoderant recipe calls for is four simple ingredients. -2 drops of essential oil of your choice. I didn't have multiple 1/4 cups, or multiple 1/8 cups, so I did a little diagram in the picture. 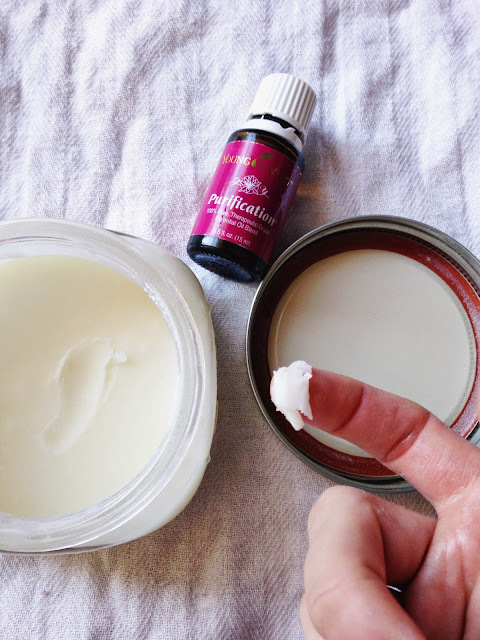 Mix all of the ingredients together, and put the deodorant in a jar, a glass jar/container preferrably. Put it in the fridge or a cold place until it is solid, and use! 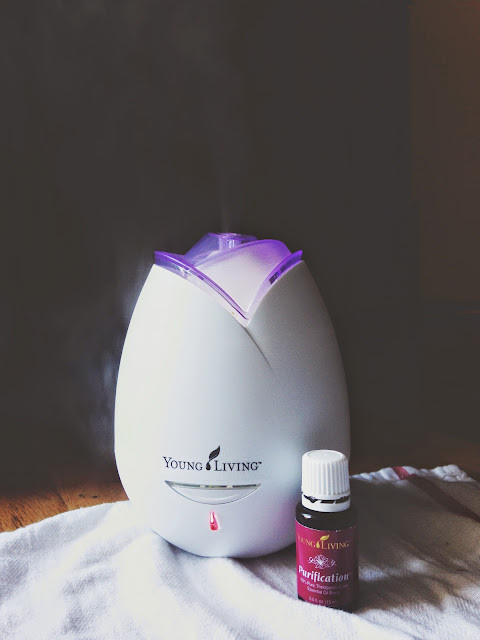 I also love putting Purification in the diffuser, especially at night when I am in bed. I have it in the diffuser now. You can definitely smell the citronella. 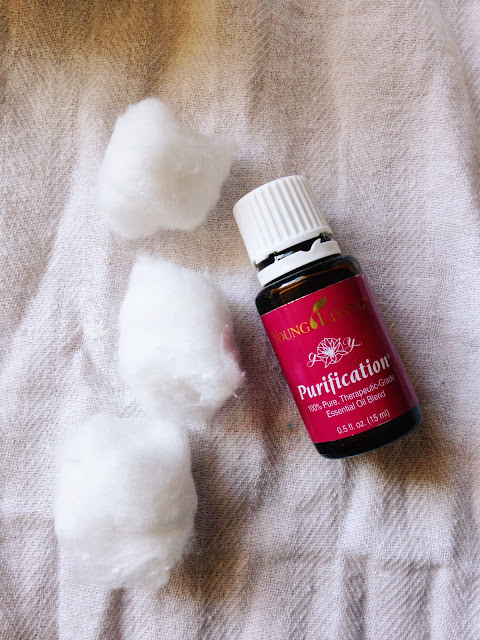 There are other ways to give the rooms in your house a lift up with fragrance, put a drop on a cotton ball, and place them in unseen places in the room. The smell will diffuse off the cotton ball, and keep the room fresh. A great way to freshen the bathroom is to put a drop in your toilet paper rolls, this could be pretty costly, so just add a drop to a cotton ball, and swipe it on the inside of the toilet paper roll. It will leave your bathroom smelling fresh and clean! 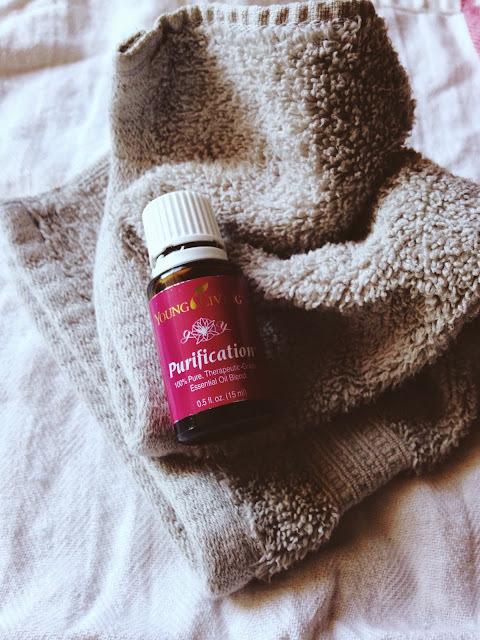 Another great way to use Purification is to dampen a washcloth, and a couple drops of Purification to the washcloth, and add it to your dryer to freshen up laundry. If your laundry has been sitting around, and it has grown a mildewey smell, add in the washcloth with Purification to rid your clothes of the smell. 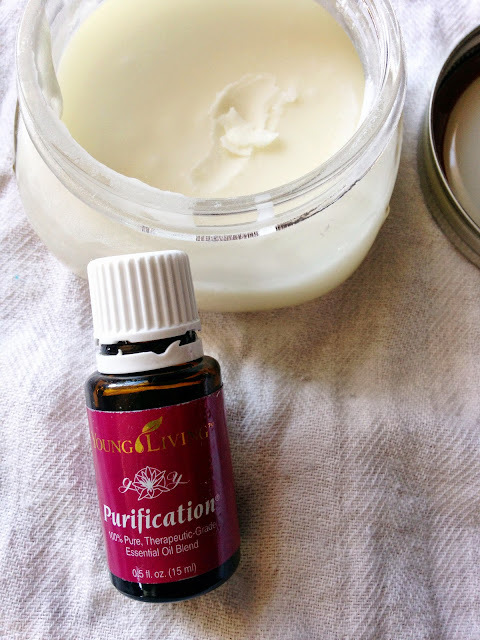 Purification is also a budget oil, especially wholesale if you are a Young Living member. If you have any questions about joining as a Young Living member, just contact me, or comment below. This oil is very useful if you want to keep your skin healthy and fresh.If you are looking for Facial Plastic Surgery,then you can contact dermatiqueskinspa for more details.